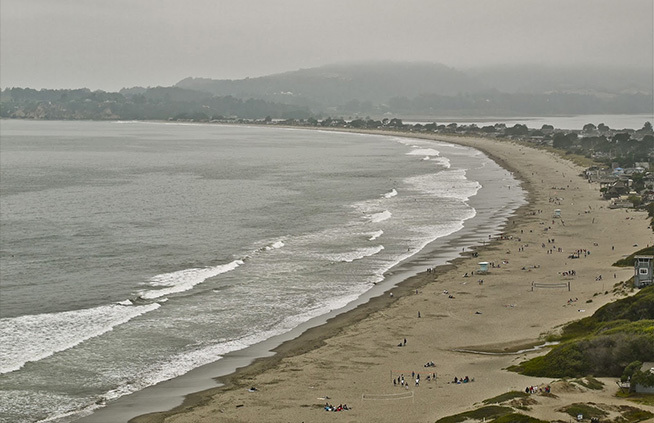 Up there or down here: NorCal or SoCal? Admittedly I’m biased – but to my mind the coast is clear, and it’s the West one. California’s temperate climate and 840+ miles of ocean coastline complement a natural splendor that whispers “God’s country” in the ear of the most ardent atheist. From sun-washed beaches to picturesque vineyards to soaring redwoods to iconic urban landscapes, California is a land of great expectations. Not to mention we’re polar vortex-proof… though these are hard times for our water table, and we’ll gladly trade you some 70-degree days for a few rainy ones. Yet despite its 58 counties, 482 municipalities and 26 national parks, the state is in many ways a tale of two cities: San Francisco in the north, Los Angeles in the south. Many proudly autonomous communities – including Oakland and San Jose up north, Anaheim and Long Beach down south – find themselves living in the long shadows cast by these two cultural and economic goliaths. San Francisco and Los Angeles set the tone not only for how others view our state, but more importantly for how California views itself. And in the hearts and minds of many residents, the state can and should be neatly bisected into Northern California (NorCal or NoCal) – loosely defined as the San Francisco Bay Area extending north to wine country and south to Monterey – and Southern California (SoCal), delineated by Los Angeles with its megalopolitan sprawl. After living, working and playing in the Bay Area for nearly two decades, Katie and I moved to West Los Angeles last May to seek out new life and new civilizations, and to boldly go… no wait, that was those other guys. We came in search of new adventures and a change of pace. Ten months later, while I’m no authority on L.A. living, I’ve gained enough perspective to offer my three cents on California’s own clash of the titans. Whether I have anything insightful to add is beside the point – I have a blog! 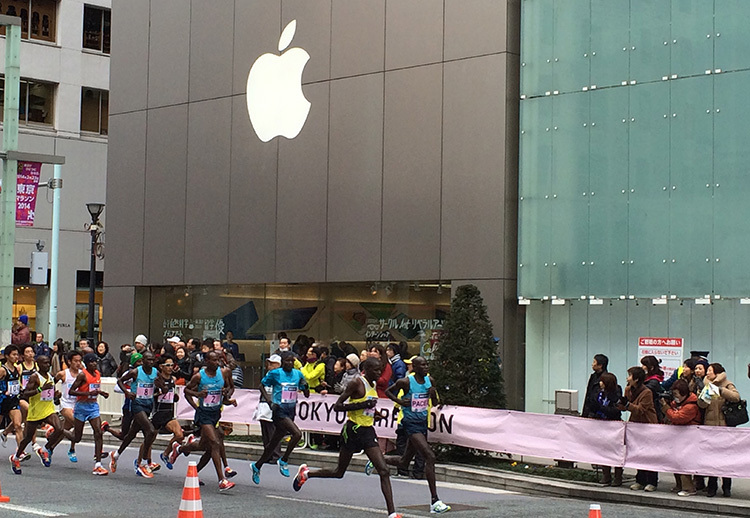 This is ostensibly a running blog, so let’s start there. The truth is, whether you prefer the NorCal or SoCal running experience depends in large part on what you want to accomplish. If you’re primarily a road runner who sticks to pavement and/or who wants to get faster, there’s no better place to do both than on the Marvin Braude Bike Trail (i.e. the Strand), the nearly continuous 22-mile beach path here in West L.A. The Strand runs (no pun intended) north from Torrance County Beach in Torrance up to Will Rogers State Beach in Pacific Palisades. Along the way it minimizes elevation gain while maximizing the SoCal vibe, particularly along Venice Beach. And if you’re okay with a perpetual dusting of sand underfoot, the Strand – with mileage markers painted on the path – offers a nice alternative to the local track for speed workouts. By contrast NorCal (specifically the East Bay) does feature my favorite stretch of road running, but like much of the Bay Area its demanding elevation profile is much more conducive to a leisurely toil than an uptempo gallop. And here the East Bay loses points for its suburban sidewalk slog that is the Iron Horse Regional Trail. On the other hand, the trail runner side of me can’t say no to NorCal. 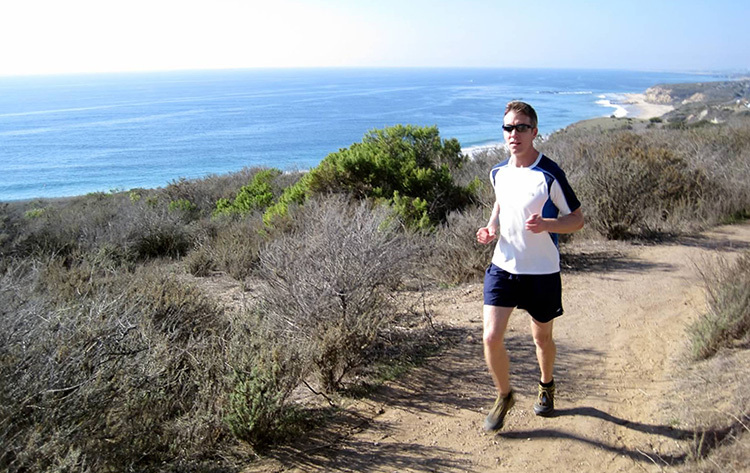 Granted the L.A. area has more than its share of excellent trail systems, from the Santa Monica Mountains and San Gabriel Mountains to the Cleveland National Forest to an amazing assortment of regional and state parks (rattlesnakes notwithstanding). And Big Bear Lake, hometown of Ryan Hall and high-altitude training ground for elite runners, lies in the San Bernardino Mountains northeast of L.A. But the Bay Area boasts my favorite trail network – and perhaps the most frequented race venue in the state – in the Marin Headlands. Throw in Mount Tamalpais State Park, the Santa Cruz Mountains, a wealth of regional parks and preserves and the sun-scorched trails around Mount Diablo, and it’s much more than a convenient cliché to call the Bay Area a trail-running mecca. Admittedly, this is a work in progress as I continue to explore the SoCal racing scene. Luckily I have a head start, thanks to several years spent running as a tourist: my first-ever marathon in Long Beach in 2010, my age-group victory at the 2011 Malibu Half Marathon, and L.A.’s well conceived “Stadium to the Sea” Marathon in 2012, to name a few. NorCal, though, may be the footrace capital of the country; its bounty of memorable (and challenging) courses includes the San Francisco and Oakland Marathons, Big Sur, Bay to Breakers, several wine country races, any of Brazen Racing’s excellent trail races and my personal favorite, the North Face Endurance Challenge Championship. So L.A. has a lot of catching up to do here… but who doesn’t like a good underdog story? Californians tend not to exude the down-home hospitality or Midwestern sensibilities that typify the more genial parts of the country. Rather, we prefer to abide by our reputation as snooty, self-satisfied shmucks. But despite the popular stereotype of the self-involved, narcissistic Angeleno who answers texts, eats breakfast, applies makeup and checks for physical imperfections all while swerving through traffic and flipping off other drivers on the 405 freeway, my personal interactions since arriving in L.A. have been overwhelmingly positive. 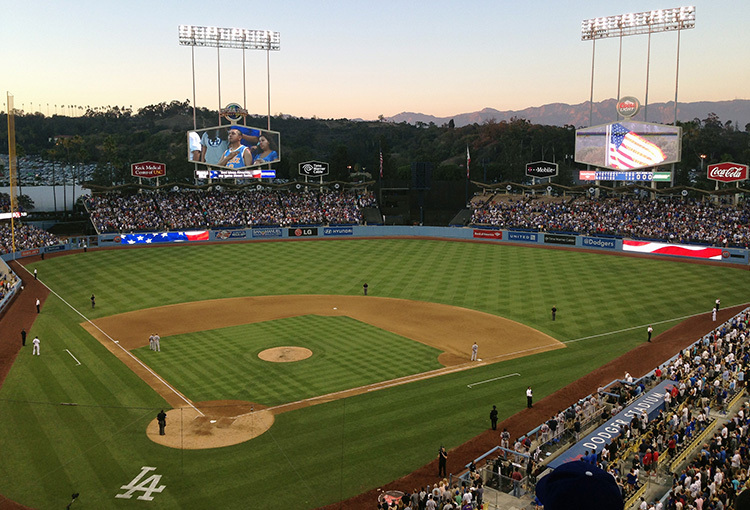 Not to say they’re not out there… but I have yet to encounter a disrespectful neighbor, an apathetic waiter or a disgruntled driver showing off their middle finger – and this includes several incident-free trips to Dodger Stadium. Driving in Berkeley, on the other hand, was a regular exercise in temper control and crisis management. I don’t think I cut a very menacing figure. But as a runner in the Bay Area, I was bemused by the lack of response I’d receive whenever I’d acknowledge a fellow runner in passing. Rarely would I receive so much as a nod or a smile or even the most fleeting recognition of We’re in this together. I’ve yet to experience this aloof-itude in any other city – not in Dallas, nor Boston, nor Portland, nor St. Louis, nor Chicago. And not in L.A, at least not to the same extent. During one of my first runs along the Ballona Creek Trail here in SoCal, I struck up a brief but animated conversation with another runner after I complimented her on her eye-catching orange footwear. Based anecdotally on facial expressions and fleeting one-on-one exchanges, runners in L.A. seem less distressed and more mindful of the fact that this is supposed to be fun. Many folks up north harbor a curious animosity toward SoCal that seems not to be reciprocated. I’ve yet to meet anyone around L.A. who doesn’t openly recognize that the Bay Area is a beautiful place, before admitting they’re perfectly content with their SoCal lifestyle. People like living here, and if you don’t… well, it’s no skin off their back. And I appreciate the diverse collection of colorful characters who spice up my training runs. These include the fellow walking his mini potbellied pig on a leash last summer near Venice Beach, as well as the older woman, skin as leathery as a well-worn catcher’s mitt, dancing her way jerkily along the beach path near Playa del Rey, all of her twisting in fits and starts to the music flowing through her earbuds. And consistent with California’s reputation as a rainbow land of diversi-tunity for all people, Oakland was recently ranked the third most ethnically diverse city in America, with our own “Creative Capital of the World” earning top honors. Whether he said it or not (research suggests “not”), the Bay Area’s favorite Mark Twain quote is “The coldest winter I ever spent was a summer in San Francisco.” In general, NorCal does feature the mild Disney-esque weather most outsiders associate with California. But the Indian summers of S.F. and the East Bay typically last only from September and October, as the summer months usher in frequent blankets of fog that watch over the region as an attentive parent would a sleeping child. And darkness brings with it an almost year-round chill. By comparison, the weather in L.A. is consistently glorious (and that’s not just me talking). On my first 11-mile run along the beach path from Marina del Rey to Redondo Beach last March, I finished my run in the dark and felt my body tensing expectantly, waiting for the night air to chill my skin as it always did in the Bay Area. But the goose bumps never arrived, and in that moment I realized just how much I was going to like it down here. This past December along the Strand, I was greeted by the surreality of a christmas carol drifting from the beachfront condos to my left, while shirtless and bikini-clad beach volleyball players frolicked on the sand to my right. And last month, with wind chills in the frigid Midwest pushing toward -30°F, my heat-training season began in earnest under bright sunlight and 70-degree temperatures. As an added bonus, I’m always happy to skip right over the winter training articles in whatever running magazine I’m reading. Bottom line, I’ll be the first to extol the virtues of California’s weather – in all its forms – over anywhere else in the Lower 48. But comparing NorCal to SoCal in this respect is like comparing Kobe Bryant to Michael Jordan: sure Kobe is a future hall-of-famer, and your team couldn’t go wrong drafting him… but Michael was simply the best. The Bay Area – especially the Mission District of San Francisco – features an amazing and ever-changing assortment of “crazy eclectic” street art (graffiti). Some of it’s legal, much of it is illegal, but all of it lends its surroundings an immediacy and vibrancy you won’t find anywhere else. And while L.A. has its own fair share of impressively realized pieces that we’ve only begun to explore, I’m always puzzled by how many wannabe (or maybe that’s “failed”) artists here choose to practice their craft on public toilet seats. Either they realize they have a captive audience, or they simply had time to kill and angst (among other things) to relieve. San Francisco’s scroll-like list of urban landmarks includes the San Francisco-Oakland Bay Bridge, Alcatraz, the Palace of Fine Arts and Lombard Street. But more than anything else, S.F. boasts the Golden Gate Bridge, its International Orange icon that single-handedly places the city among the world’s most recognizable and postcard-worthy destinations. Its urban landscape largely accounts for the seductive je ne sais quoi that’s led Tony Bennett and so many others to leave their hearts in San Francisco. L.A. on the other hand boasts… not a whole lot other than the Hollywood sign in Griffith Park. Did I mention our weather? This is a toughie. The Bay Area is renowned for its restaurants, and many foodies would scoff at the notion that SoCal could compete in this category. Blasphemous at it may seem though, I’d suggest L.A.’s dining scene can and does hold its own, particularly in the one area that matters most to Katie and me – vegetarian options. Whereas reasonably priced vegetarian/vegan restaurants are more sporadic in the Bay Area (notable exceptions being Source in San Francisco, Nature’s Express – and now Source Mini – in Berkeley, and Souley Vegan in Oakland), West L.A. features a number of unassuming, healthy franchises like Native Foods Café, Veggie Grill, Sage and Tender Greens. Not to mention excellent (and always veggie-friendly) Ethiopian, Indian and Thai offerings, plus no shortage of farmers’ markets and food trucks. And though you may (if you’re so inclined) cynically suggest that the wait staff in L.A. are all practicing their actor-ing and actress-ing skills on the customers, servers here come across as more genuinely interested and less put-upon than their Bay Area counterparts (see point #4, above). San Francisco deserves its world-class reputation as a foodie’s paradise and one of the birthplaces of the “Slow Food” movement. But if the quickest way to a man’s heart is indeed through his stomach, then slow ‘n’ snooty just won’t cut the mustard. The Bay Area’s Silicon Valley is and will continue to be the epicenter of the technology universe. It’s an incredibly forward-thinking place with incredibly forward-thinking people – people with tremendous power to change the world for the better. But as Uncle Ben told nephew Peter, with great power comes great responsibility. And with stories of out-of-touch executives behaving badly and a community backlash against tech workers in S.F. surfacing in recent months, Silicon Valley’s beauty is now very much in the eye of the beholder. That said, Katie and I are pretty much immune to the charms of Hollywood, since we watch less than an hour of TV per day and maybe three movies per year. So if you ask me which the world needs more – the Internet and electric vehicles, or mucho macho Mark Wahlberg and another “Transformers” sequel – I’d say there’s even less to your question than meets the eye. In so many respects, Oakland has the resources and the potential to once again be a thriving metropolis where companies flock to do business and people move to raise kids. As mentioned above, it’s the third most ethnically diverse city in America. But it’s also the third most dangerous city in America, with feckless leadership that’s proven unable to stem the relentless tide of violent crime in recent years. Nowhere in L.A. comes close to matching Oakland’s violent crime rate. 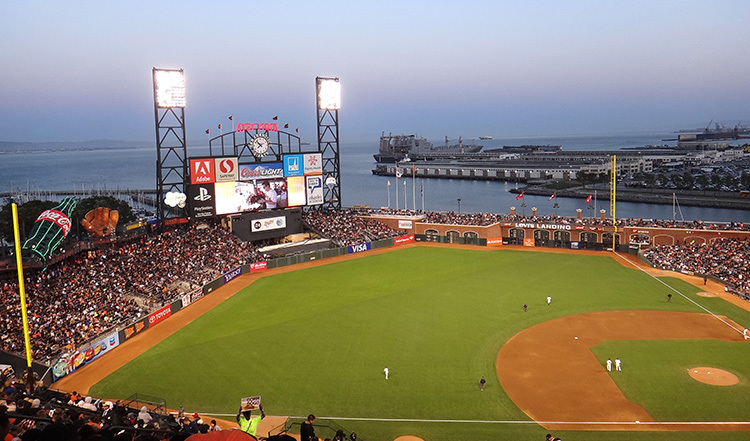 AT&T Park, where the San Francisco Giants play baseball, is among the crown jewels of the baseball stadium world (one friend who’s visited all 30+ major league ballparks ranks Baltimore’s Camden Yards at the top of that list). It’s a beautiful stadium that hosts a lot of cold baseball games. Dodger Stadium, on the other hand, is 38 years older and lacks the “wow” factor of AT&T… but with the San Gabriel Mountains visible over the outfield fence, and game-time weather that’s often so perfect it feels more like the absence of weather, Dodger Stadium gets my heretical vote for game-day experience. And despite the fact that Giants management is practically printing money after lucking into two World Series titles in the past four years, the Dodgers are the team willing to pay top-flight talent who can actually hit the ball over the outfield wall once in a while. Meanwhile, pro sports wouldn’t be pro sports in the Bay Area without the Raiders, A’s and Warriors all threatening to leave Oakland for greener pastures. Which is sad, because Oakland’s abused fans are far more supportive than they have any right to be. The Warriors have already announced plans to relocate to S.F., while the Raiders and A’s throw perennial temper tantrums to try to pressure the economically challenged city into building them shiny new stadiums (they currently share the badly named and poorly maintained O.co Coliseum). The L.A. area has two baseball teams, two basketball teams, two hockey teams and – best of all – no pro football team (no NFL team, that is; I’m not counting those upstanding amateurs over at U$C). I’m admittedly proud to live in a city – and not just any city, but the second-largest media market in the country – that in recent years has repeatedly told the greed-soaked, non-profit NFL to f*&# off. And I can’t say I miss the predictable ritual of 49ers fans and Raiders fans beating on each other, which prompted the cancellation of the teams’ annual preseason game for the past two seasons. Head coach Jim Harbaugh likes to ask his 49ers team, “WHO’S GOT IT BETTER THAN US?” My answer: those of us who aren’t on the hook for your new stadium. I acknowledge and appreciate that there is honor in all work… except when it comes to meter maids. Dante’s Inferno holds a special circle for these folks somewhere between bounty hunters and Bernie Madoff. San Francisco is the kingpin in this respect, but Berkeley and Oakland are worthy disciples, as their ticket-writing automatons exhibit as much common sense and compassion as a methed-up pitbull. Case in point, our car was once cited for parking in front of our own house after we neglected to display our annual parking permit on day one. Even worse, the city refused to rescind the fine. Never mind that we’d lived at that same address for several years, or that a glance at the city’s records would have revealed our updated registration. To supplement the income from parking tickets, Oakland city officials in 2009 extended parking meter hours from 6pm to 8pm, prompting a backlash from local business owners who claimed the extended hours were deterring customers and hurting business. Five months later SFGate reported that Oakland parking officers had been ordered to enforce parking violations everywhere but in the city’s two wealthiest neighborhoods. It would seem that raining down parking citations like urban confetti – with exceptions made for its most privileged members – is the East Bay’s Oaklandish plan for lifting itself out of economic recession. And I wouldn’t be surprised to learn that Google’s new fleet of parking enforcement drones will soon descend on the Bay Area. SoCal is no innocent babe in matters of parking enforcement, as anyone who’s encountered Santa Monica’s maddening parking meters can attest. But since moving to L.A. I’ve received zippo zilch zero parking tickets, and it’s not for lack of trying. It’s that this city contains 1) parking garages that respectfully offer free parking to customers, and 2) law enforcement officials who apparently have more important things to do than circle the block waiting to pounce the minute your parking meter expires or you forget to move your car for street sweeping. This past September I found myself doing a double-take when, upon entering a parking garage in a busy neighbor-hood, I was greeted by four words I’d never seen in the Bay Area: THREE HOURS FREE PARKING. Rock on, L.A. I couldn’t in good conscience call this list complete without a nod to this remarkable Bay Area achievement… I look forward to seeing first-hand if and how L.A. rises to the challenge. So there you have it – the great debate on the Golden State rages on. 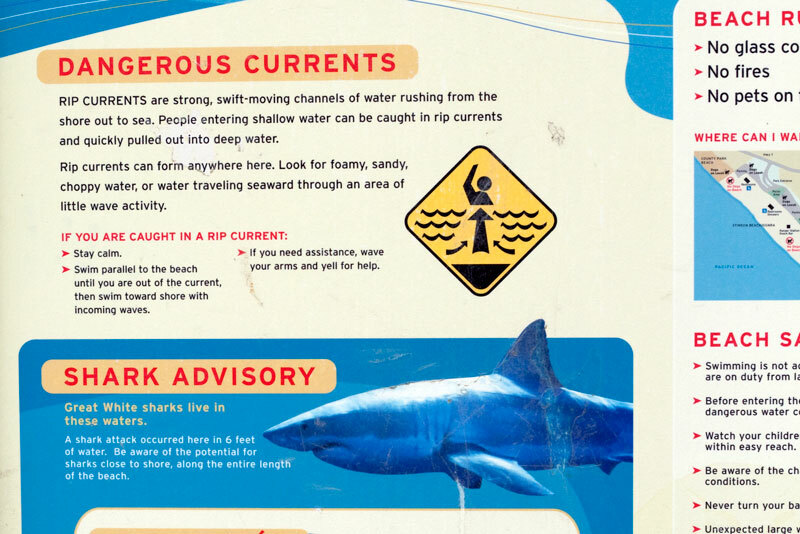 Hopefully this year I’ll bolster my research with some quality time in San Diego, so I can get to know LoCal better. For now though, I guess the million-dollar question is whether I’d rather live, work and play in Northern or Southern California… and on that point there’s no debate at all. If you’ve ever lived in or visited the Golden State: Are you an “up there” or a “down here” type? 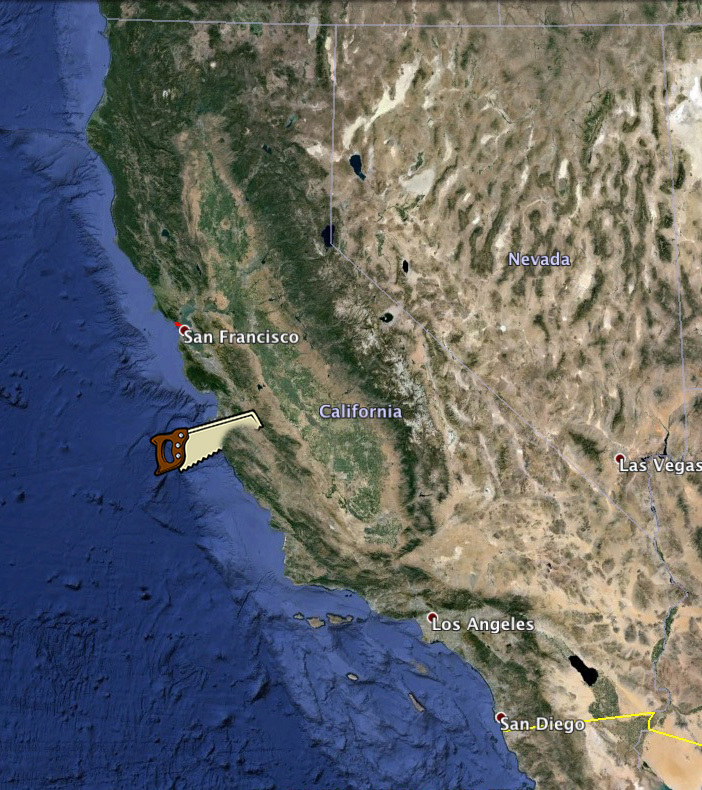 Or would you be just fine with California sliding into the ocean tomorrow? BC&H BONUS: Because blogging’s no fun without the games, I’ll send a $10 Running Warehouse gift certificate to the first (non-family) reader who figures out what I did to amuse myself while writing this post, and provides at least four pieces of evidence (there are six found within this post) to support their answer. Leave your response in the Comments section below, and I’ll publish the winner and correct answer here on Monday, March 3. You don’t need to “like” me, you don’t need to “follow” me, you just need to humor me. Good luck! You put together these posts so fluidly, almost magically. Almost as if you were a magician. Like, say, David Copperfield? Ha ha, nicely said! It was the best of hints, it was the worst of hints… actually just the best of hints. It’s great to know that you’re loving your new digs in southern California. I always pictured you as a die-hard Bay Area resident who only begrudgingly moved down south and cackle like a curmudgeon at the mere suggestion that LA can play on the same stage. But reading this, I get the feeling that you’re not only being fair to each city and highlighting its own strengths and weaknesses, but doing so from the point of view of someone truly happy where he is. And that’s great. Little bit of trivia that you might already have known, “Strand” means “beach” in German, so that’s quite the appropriate moniker. 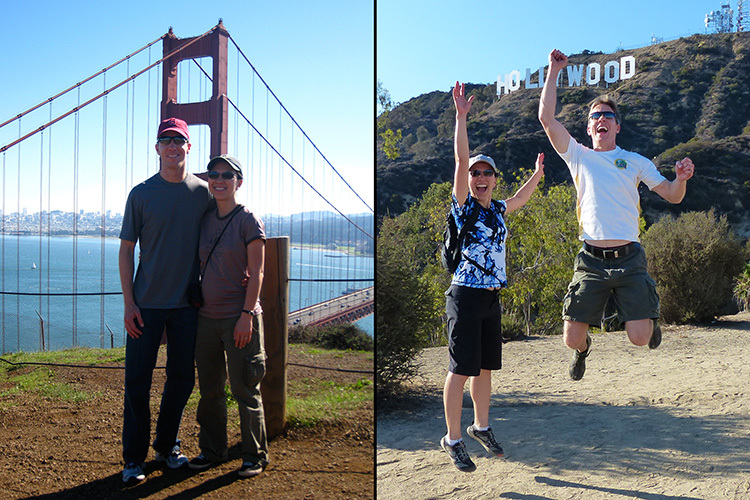 As for me, I’ve been to LA four times now, but have only visited San Francisco once. But even based on this extremely limited time, I managed to get a feel for each city, even if it was just a sliver. I like both, truth be told, and I’d love to spend a week in each to get a better impression. But there’s something about LA’s beach communities – your Marina del Reys, Huntingtons and Hermosas – that I really liked. Plus, it has been 70 every time I’ve been to LA, while SanFran welcomed me with 50s … in July. Masterful comparison. I’m looking forward to the year where you run both the signature LA and SF Marathons for a similar matchup. I’d be the first to admit there are a lot of things to love about the Bay Area, and we took advantage of so many during our time there… but I never felt like living up north was my “destiny”. Several other cities in the U.S. struck our fancy, and ultimately we whittled down our choice to L.A. or Denver. Then we looked at the weather forecast one day in March, saw a 50-degree difference between the two cities, and with that we were sold. Speaking of weather differences, that 100-degree difference between you and us in January was simply absurd… if ever a population of large mammals deserved to hibernate, it was the citizens of Chicago this winter. My friend Pete has been counting down the days to his mid-March visit for quite a while now. Nice idea to run both L.A. and S.F. 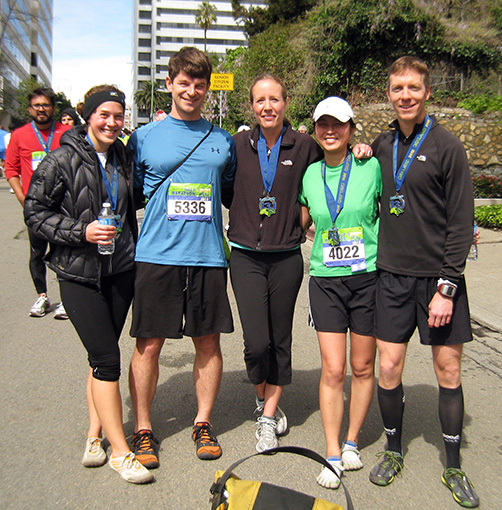 in the same year… I’m kind of ashamed to admit I never ran the S.F. full while we lived up there, mainly because I’d already run both halves of the course and so never felt the need. But I may have to pull the trigger on that NorCal/SoCal combo in 2016, when the L.A. Marathon and Olympic Trials come as a package deal. And I’m sure, as we count down toward race day this week, the running voices in my head will question my decision not to run this year. Thanks for the support, Dan. Ack – SoCal wins 8 times and NorCal only 4 times. That does not bode well for you guys moving back up here. Having now lived in northern CA longer than southern CA longer, I have to say that I have a slightly different bias (notice you didn’t include traffic or cute nieces and nephews) but am so happy that there are so many advantages to your new home. Actually, the two different photos of you and Katie at the end of the blog kind of captures the different vibes that I get from your blog . We love coming down to visit you, so it’s a win-win for all! Thanks for reading and weighing in, Kristina. Obviously I had to write about “people” in the general sense… if I’d included friends and family (especially the niece and nephew), this would have been a lopsided affair. But hopefully that will improve as we continue to build up our network here in SoCal. New places, new faces! And to channel my inner Bob Barker for a moment… you know we’re always happy to have you guys visit, so come on down! Re: the people (#4). The coldness/apathy of NorCal folks is the first thing that hit me when I moved to Berkeley. I’d see the same set of folks while walking to campus almost everyday, and while I made eye contact or smiled, they just ignored me. It was shocking, especially since I had just moved from North Carolina, where you say “hey” to almost everyone you see. (Oh, Southern hospitality, how I miss you!) I also remember accidentally bumping into someone at a BART station. When I apologized, they didn’t even acknowledge me… just kept on walking. This happened enough times to make me wonder what was up with the culture here. I mean, New Yorkers might get angry and yell at you for bumping into them, but at least they’re acknowledging your existence! I’ve had some better experiences living in Oakland. There are a few regulars around Lake Merritt during my morning runs that I always say hi to, and that’s a nice feeling. In SoCal, I think people are more superficially polite, which I’ll take over the vibe in the Bay Area. I also agree that the food is quite good in L.A., but Oakland has so many great hole-in-the-wall joints. I’d love to see an Oakland vs. L.A. taco truck battle! I absolutely agree about Oakland. One of my earliest positive impressions of living in L.A. (aside from the weather) was that it felt more diverse than most of the Bay Area… that it felt more like, well, Oakland. So I wasn’t surprised when I read that statistic about L.A. and Oakland being two of the three most diverse cities in the country. As for the superficiality aspect, you could be right about that as well, and I’ll be interested to see if it holds true going forward. But most of the people we’ve met here (since we don’t hang out much in Hollywood) do seem genuine, and in any case I’d agree it’s preferable to an inexplicable apathy. Having lived in Northern California (Bay Area and Yolo County) for 27 years and Southern California for 16 years, I would rate the different categories 7 to 5 in favor of Southern California (but I might weigh “weather” more heavily any most other categories). I wanted to guess that your puzzle was you contained the names of all of California’s counties into the body of your blog, but I am prepping my running club’s newsletter and getting ready for next weekend’s Way Too Cool 50K … in Northern California, and haven’t had a chance to look over every letter. I meant 7-5 in favor of NORTHERN California. Thanks for checking in, Emmett… I’d agree that a strong argument could be made for NorCal in almost any of these categories (almost…), and the region would win hands-down against almost any other area of the country. But in the end yeah, the weather down here is the wild card that trumps all. Best of luck at Way Too Cool! I know Chuck and Laura had a great time up there two years ago, and I’d like to throw my name into that lottery in the next 2-3 years as well. Hopefully I can make it to the next Boeing 5K (next week?) to hear all about it. My official guess is that you inserted a bunch of Charles Dickens novels, serial or otherwise, into this post. There’s Great Expectations, a Tale of Two Cities, A Christmas Carol, and though there’s no Oliver, you certainly used the word “twist”. I’m sure there are others, but that’s as far as I got. Bravo! Glad to know my thought process isn’t completely opaque. To round out the evidence: in the prologue you’ll find the title of “hard times” slipped into the last sentence of paragraph one. Slightly more subtle are the words “bleak house” positioned directly above and below each other in the penultimate sentence of the prologue. Your Running Warehouse check is in the (e)mail – enjoy it like the dickens! I object!. I don’t think you have lived in Southern CA long enough to judge the trails here. 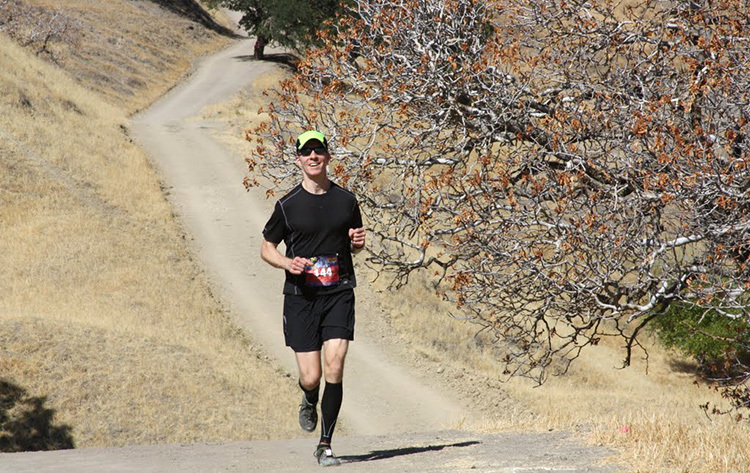 Have you run the famous Mt Baldy run (http://run2top.com/)? Or the Saddleback Marathon? Or any of Steve Harvey’s (http://www.oldgoatrunners.com/) or Baz’s (http://www.bigbaztrailraces.com/) races? How can you conclude Northern CA is better? I should beat the dickens out of you. But seriously, I blame myself since I have not been the host I should have been. You and I have yet to run the Malibu loop and see where MASH was filmed. Or by the ruins of the old hotel on Mt Lowe. But hopefully that will change soon. Objection overruled! Hey, that’s the first time I’ve ever used my blogging gavel, I could get used to this power. But you may be right, and that’s why I stamped my analysis of the racing scene as a work in progress… I/we have a lot of SoCal races yet to run before I can rule definitively for either side. So far your trail races down here have either smothered me in fog (Griffith Park) or tried to broil me from the innards out (Harding Hustle). Never a dull running moment so far. So yes, I’ll happily take you up on your offer to showcase your hosting skeellz on the area’s trails. Though if it’s ruins you want, I say we skip Mt. Lowe and head to Athens, Rome or Giza. And what more appropriate way to put this dickens-infused post to bed than with a comment from a man named Charles?